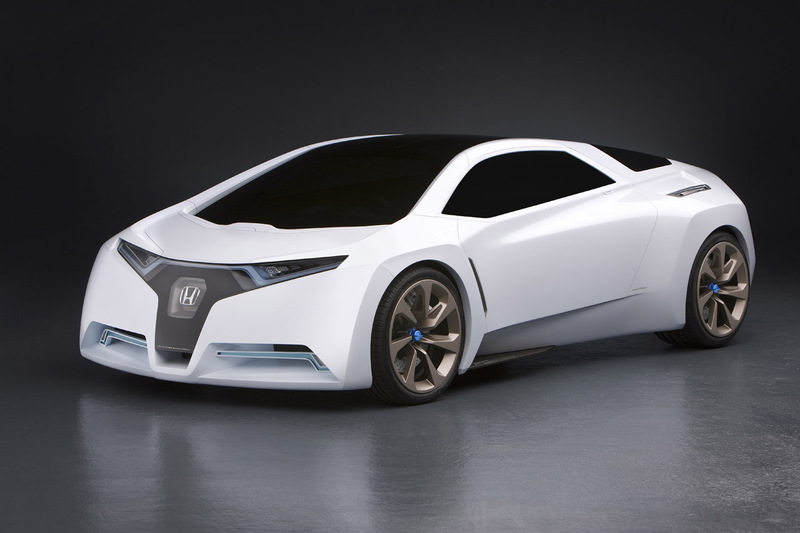 If you’re a fan of clean technology and have a fascination with Star Wars films, Honda may have made a car for you. This week at the LA Auto Show, Honda unveiled the Honda FC Sport and Motorfood can’t help but notice a resemblance to Star Wars’ own white product – the Stormtroppers. The FC Sport is Honda’s latest concept car showing off their V Flow fuel cell technology – already deployed in the Honda FCX Clarity. The FC Sport differs to the FCX clarity by moving the hydrogen fuel cell stack and electric drive system to the back of the car. This new design made the FC sport a three-seater, with the driver sitting in the middle and the two passengers off-set to the left and right – similar to the McLaren F1 of years gone by. The design study concept is inspired by supercar levels of performance through low weight and a high-performance, electrically driven fuel cell powertrain. Motorfood really likes the look of the FC Sport but will be waiting for the Darth Vadar black edition.